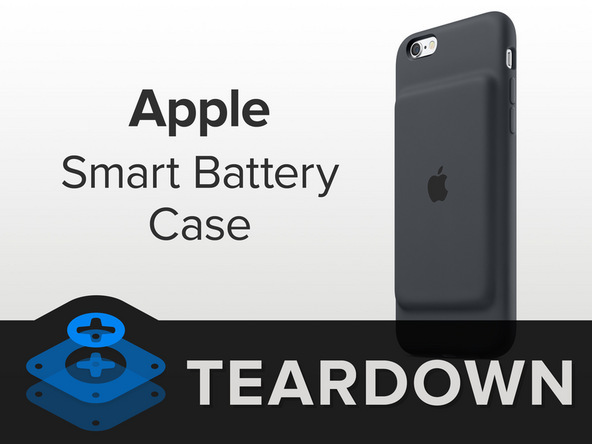 A couple of days back, Apple launched the official iPhone 6s Smart Battery Case, which promises to extend the device’s talk time by up to 25 hours, and internet use with up to 18 hours on LTE. 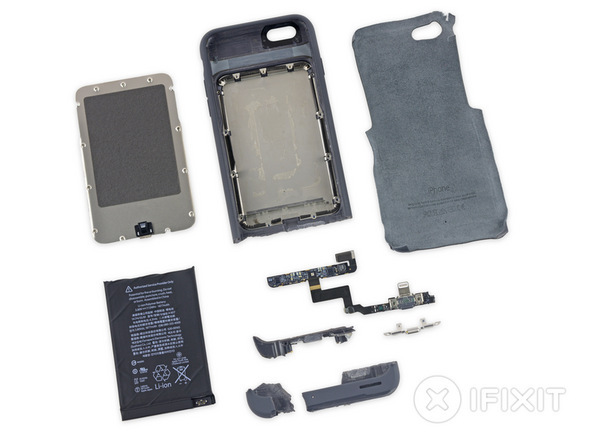 Today, the folks over at iFixit have published their signature teardown of the new iPhone accessory, giving it a poor repairability score of just 2 out of 10. Apple’s iPhone 6s Smart Battery Case features microfiber interior with silicone exterior, a Lightning connector and is fully compatible with the official iPhone Lightning Dock. The case is slightly “bendy: above the battery bulge, to allow sliding the phone in and out. Opening it up reveals an inner aluminum plate, which serves as a door for the battery compartment, which houses a 1,877 mAh battery. iFixit notes the battery is “very strongly adhered in place” with a connector rather than soldering. For such a Smart battery, it looks like most of the brains probably live in software on your iPhone. We only find some rudimentary ICs inside: NXP NX20P3 load switch, also found in Lightning to USB cables and NXP 1608A1 charging IC. The teardown concludes by highlighting that while battery replacement is possible, it will likely destroy the microfiber liner. No other repairs are possible without completely destroying the device.